John Majetich was born August 25, 1938 in Youngstown, Ohio, the son of John and Helen R. (Martinko) Majetich. 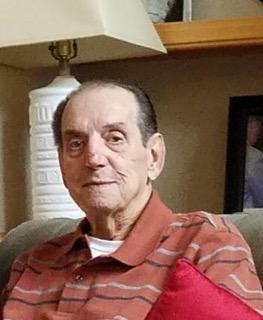 He passed away March 29, 2019 at his home in West Richland, Washington. John was a lifelong pipe fitter, locally working at Scholl-Choffin, and later moving to the Hanford area of Washington where he oversaw construction of power plants all over the country until his retirement. In his younger years, John was an avid bowler in the Youngstown area. He also owned the ‘famous’ 6 cylinder #1 Ford stock car that won many races at area Speedways including Sharon, Butler, Mercer, Lernersville, and Canfield Fairgrounds. John is survived by his wife Wanda Majetich, sister Mary Ann (Bob) Mullen, brother Richard (Mary) Buchenic, sons John (Rita), Mark (Sandy), Matthew (Tina), Richard (Kathy), Tom (Adora), Ben (Cindy), David (Sharon), Hank (Shawna), Jerry (Mary Ella) and step-sons Robert (Ana) and Frank. He also leaves behind numerous grandchildren and great-grandchildren. Private services were held on Wednesday, April 3rd at Einan’s Sunset Funeral Home & Gardens in Richland, Washington. John will be dearly missed.